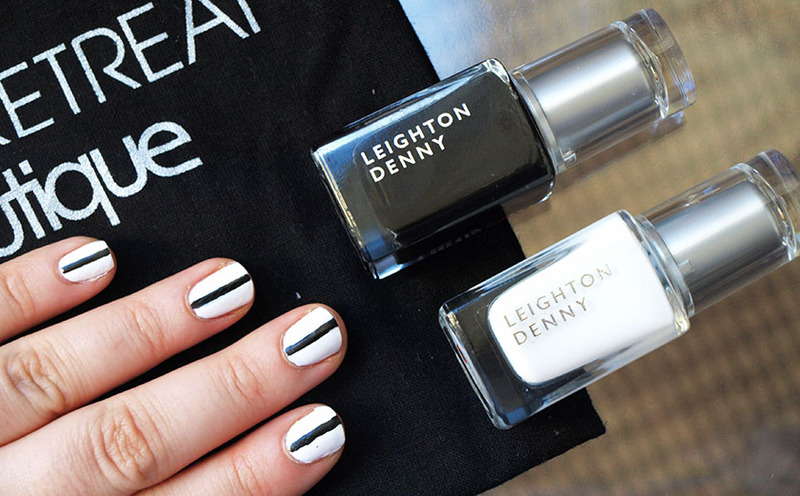 This little set is an absolute bargain, especially for those who are looking for the perfect white nail polish or simply want to try the monochrome trend. For only £14.00 you get two full size Leighton Denny nail polishes - Pure Creation and Maneater - saving £8.00 in total. Pretty good deal in my opinion. 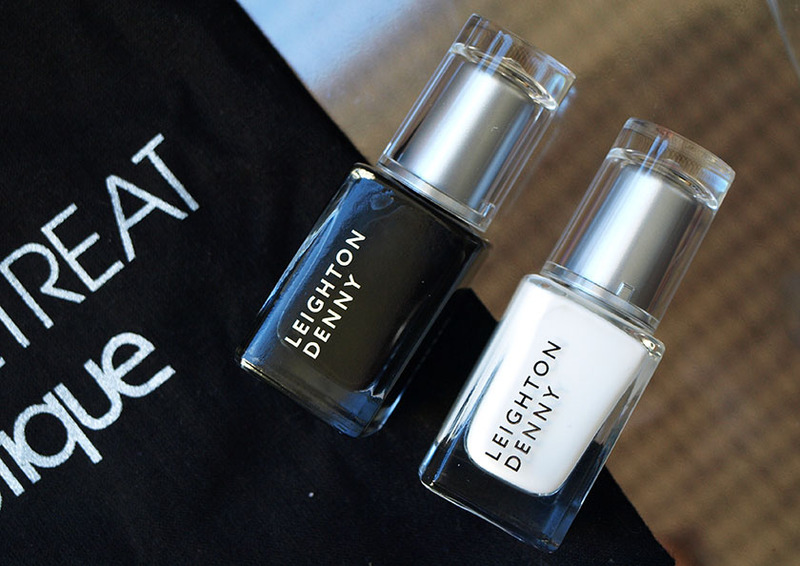 The duo is my first experience with Leighton Denny nail polishes and I must admit - I am really impressed. The formula is a dream to apply and with two thin coats I can achieve a perfect, smooth finish. I was worried that Pure White will be a bit messy and hard to work with, but I was able to get the desired look without any problems and in only two coats. I can already tell, that there will be no chipping for a couple of days with these, which is amazing in my case (weak nails that chip the same day). My original plan for the manicure was a pinstripe design, but after painting just one stripe on my nail, I knew that it will be really hard to do, especially on my right hand . After messing up my left hand, I decided to paint my nails white and add one thin stripe of black in the middle :) The final effect isn't perfect, but I really like it. 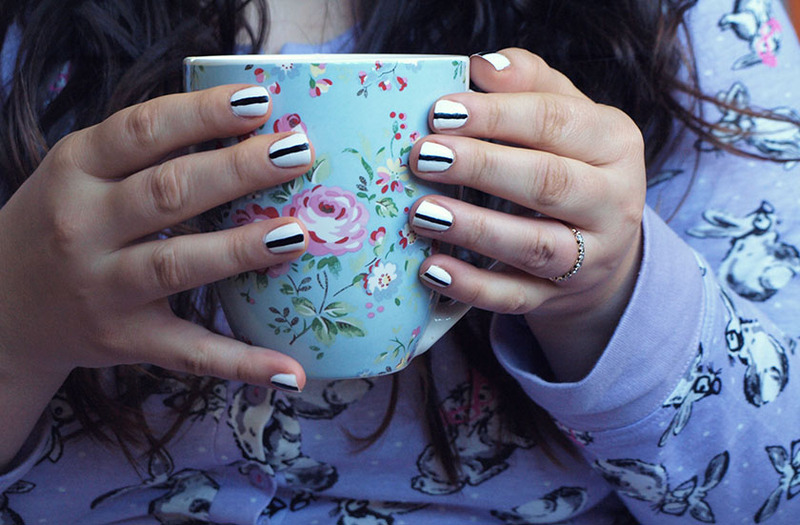 The next design I am planning to try is a domino manicure. It looks amazing! 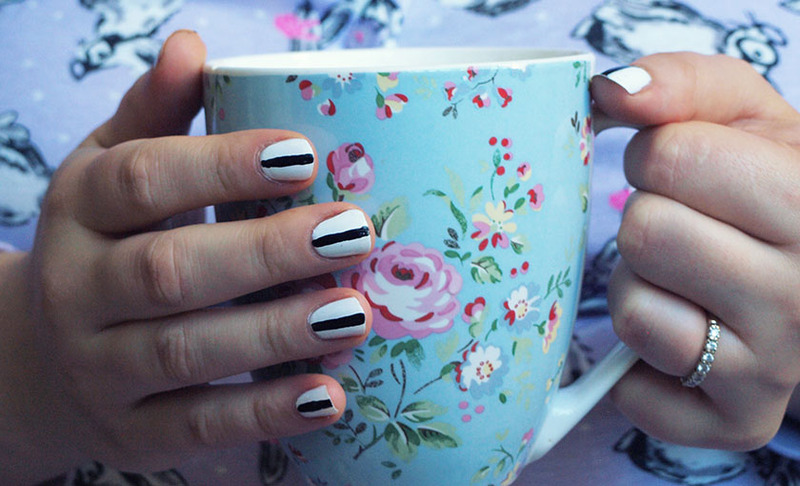 The possibilities with monochrome manicures are endless! 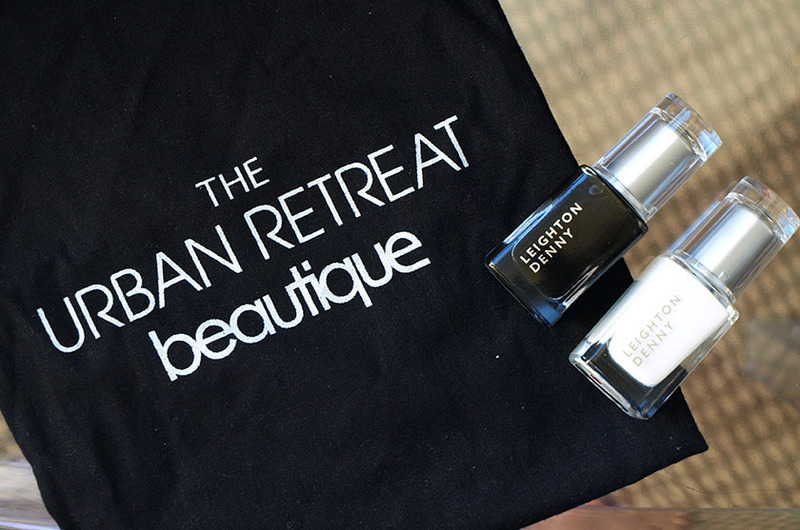 You can buy the Leighton Denny Duo exclusively from The Urban Retreat Beautique.